Between 2004 and 2011, Member countries had the possibility of emitting a single commemorative coin a year. Since 2012, every country can emit two. Between 2004 and 2018 the Member states of the Eurozone emitted 410 commemorative 2€ coins. 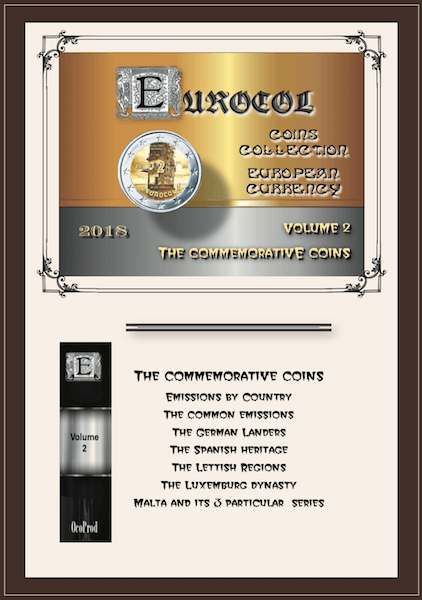 These emissions began in 2004 and the engraved coins are classified in the volumes IIIa, IIIb and IIIc of Eurocol. They are spotted by identification sheet and a ranking interns in Eurocol. 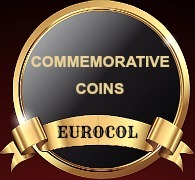 Certain coins celebrate an event common to all the Member countries of the Eurozone. They are classified in the volume IV - common Emissions - and detailed further. 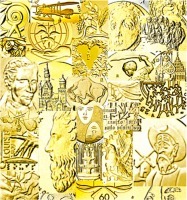 Other coins of German origin form a particular series on German Länders and tidied up in the volume V detailed further. 8 votes. Average: 3.25 / 5. Bonjour Claude et merci de votre intérêt pour Eurocol. Je ne vends aucun produit présenté sur le site.